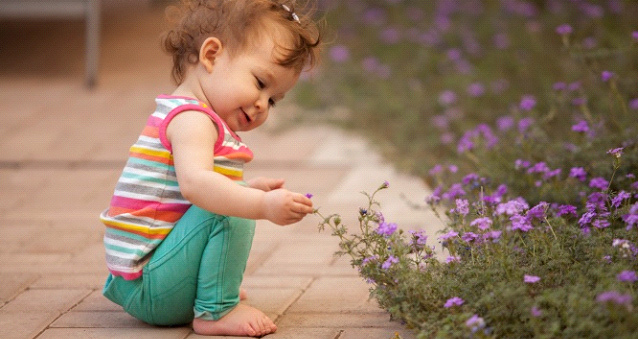 The summer is the perfect season to enjoy getting outdoors with your little ones. In Brighton we’re spoiled for choice with all the beautiful parks, beaches and the South Downs just on the doorstep. Greenfrog’s natural soapnut-based cleaning products are designed especially to benefit from the best of nature, respect the environment and support a clean and healthy home. As local mums and dads we know that exploring nature can be great for the whole family’s happiness and wellbeing. So grab a sun hat (or brolly) and pack the kids off for a day in nature – here are our top picks! Plant a seed. Sunflowers grow super-fast and are very satisfying to watch grow. If you fancy something more practical, planting a few herbs can be a great way to encourage the children to help cook too! Feed a fish/ducks/pigeonsl! Brighton’s parks provide plenty of opportunities to use up your old bread crusts to feed the local fish or birds. Children will delight at being so popular with the local wildlife, even it’s just the pigeons! St Anne’s Well Garden has a little pond that is gated for safety and you may be lucky enough to attract a few squirrels. Make a pebble sculpture. Brighton may lack sandy beaches, but we have no shortage of colourful pebbles to play with. You could challenge the children to make a pebble whale or even a mermaid! 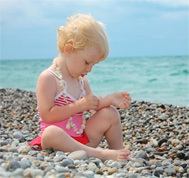 It’s free fun – you just need pebbles and plenty of imagination! Go on a bug hunt. Pick up a Tupperware box and a cheap magnifying glass and head outdoors. It doesn’t have to be a hunt for anything particularly exotic – children will love finding snails, woodlice and ladybirds. Do the laundry! Children love to imitate, but having their hands in a bowl of washing powder won’t be good for their skin. Prepare a bowl of warm water and try a few soapnuts (nature’s laundry powder) to squeeze and play at washing. Greenfrog sell these amazing berries which are naturally antibacterial and great for natural cleaning and gentle on young skin. Check out Toddler Blogger Founder Sam’s review here. Blackberry picking. Late summer is a perfect time to do some simple foraging with the kids and blackberries are easy to identify and delicious! There are so many recipes to try, but our favourite is mixed with baked apple, yoghurt and honey in a cool smoothie. Yummy! Make a sensory treasure chest. Fill a shoe box with treasure from the garden or park. ‘Treasure’ could be pine cones, leaves, twigs, pretty flowers – half the fun is just collecting and showing you their exciting finds. Make a leaf print. Simply collect a few leaves, paint with child-friendly (aka no-stain!) paint and print a leafy picture. If it does get a bit messy – Greenfrog do a wonderful – award nominated no- less All Purpose Cleaning Spray that smells pretty delicious and is free from any nasty chemicals. Rockpooling. Rottingdean has some great spots for examining sea creatures that wash into the rocks. Bring a bucket and spade and you’ll have an enthusiastic marine biologist in no time. Make bedtime -bath snow. Simple cupboard ingredients can be made into totally natural bath powders that the children will love. Simply mix together a mug of bicarbonate of soda (the kind you bake with) with a tablespoon of olive oil and a few sprigs of lavender. Then mix into a snowy purple speckled powder which can be sprinkled into their night time bath. Lavender is very relaxing – perfect after a busy day. Add your own ideas for great ways to enjoy nature as a family – join us on Facebook to share your very own tips with other parents. 3 Comments: "Top 10 Nature Activities to do with your Toddler"
Amazing document, I found it particularly instructive and it’s just the content I was browsing for. No need to say how it took me very long to stumble on it, so that’s why I thoughtto make the effort to feedback and give my reactions about it. In spite of this, on on the second part if I remember well, you made a small misprint, maybe you should verify. keep on the good job !